Your wedding is one of the most important events in your life, celebrating the love between you and your life partner and making awesome memories which you both cherish for the rest of your lives. You can recreate those memories once again by looking at your wedding album and that’s why having the best shots in your wedding album, which would, later on, put a smile on your face is really important. 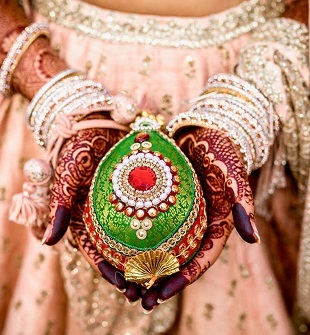 Wedding jewellery has been holding significant importance in Indian weddings since time immemorial. Earrings have been an important part of bridal jewellery without which a bride cannot imagine getting dressed up completely. They add grace and style completing the bridal look. Hence, having these stunning earring shots captured in your wedding album is really very important. There are a wide variety of bridal earrings available from which one can choose, which include both light and heavy earrings. As these earrings are worn throughout the ceremony, they should be selected very carefully keeping comfort in mind. Ruby, Polki, Kundan, Gold, Diamond; the earrings of a bride are the most delightful and exquisite thing to be seen. These earrings not only enhance the grace of a bride’s attire but also take it to another majestic level. So having those moments of glory when you are wearing these stunning earrings, captured in your wedding album is absolutely necessary. 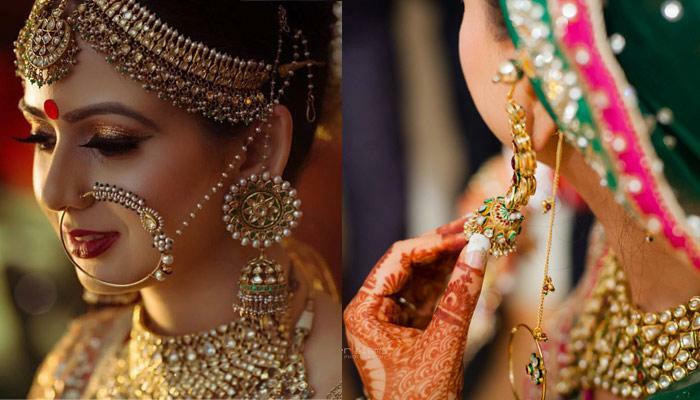 So read on to know the 10 stunning earring shots that each Indian bride must have in her wedding album captured forever! 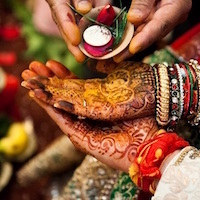 The moments where you are enjoying wearing those little diamonds and blushing, reflecting on your love for age-old Indian tradition are a must have. The centre of focus are those lovely earrings which reflect your style. Where you are feeling no less than a princess. These exquisite and attractive earrings can do complete justice to your looks. They are sure to catch the eye of your beloved and others around. Because no wedding is complete without taking a close up shot of these magnificent and beautiful earrings. This shot of these stunning earrings in their full glory is a must have. 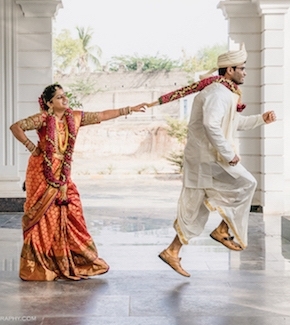 Your wedding album would be incomplete without including a shot along with your true love. When those little cuties gleam and shine more in his presence. When you are reflecting happiness about starting a new life with the one you love the most. These moments are the most precious and most important to capture. To the charm and allure being added by those earrings when you plan to tie the knot in the presence of the sun and feel sun-kissed. A flirty duck-faced selfie pout while taking the vows along with your diamond is absolutely mandatory for a wedding album. To a few moments left before getting strings attached. The amazing shot in which you have totally fallen in love with yourself and these delicate earrings. The one capturing the shots when you are getting ready and about to wear these diamonds and cherish them forever. 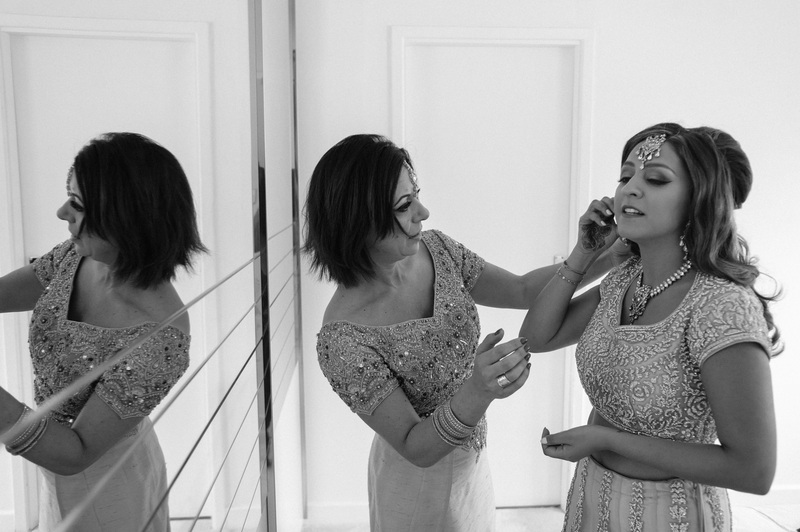 Because when a bride adjusts her earrings it is one of the most natural pose ever. Because while starting a new life how can we not remember to click shots of these cute little adornments with our close friends and family? A shot with the best friend helping you out to get ready is absolutely necessary. Because these would be your memories for life. We hope that by seeing these amazing bridal shots you are already feeling inspired. So go and get your stunning earring shots for your wedding album because you are the author of the story that your earrings would tell, the stories which you would cherish forever and would put a smile to your face when you see them later.